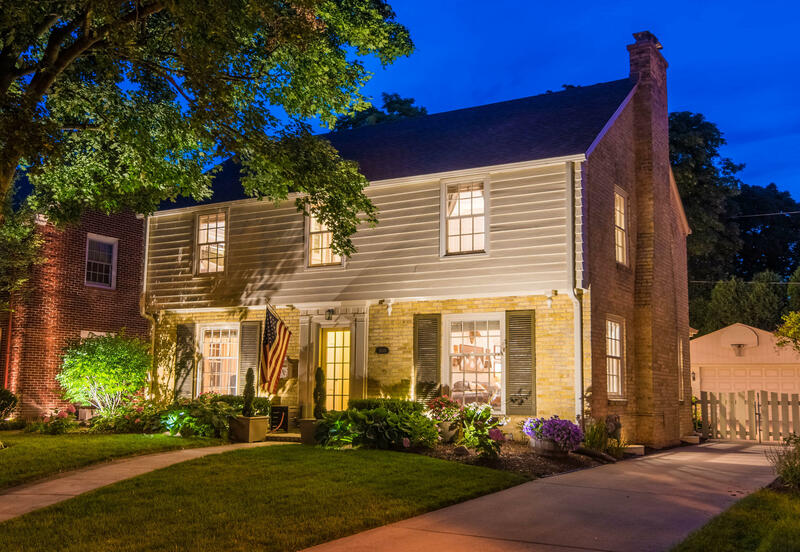 Center entrance colonial in an unbeatable location in Swan Park Neighborhood. Features: 3 BR, 2.5 BA, 2.5 car garage. Foyer with center staircase, LR with FP, FDR with corner built-in china cabinets. White woodwork, arched doorways, and HWF. Updated KIT offers granite countertops, marble backsplash, Kohler farmhouse sink, SS appl and hood, and breakfast bar open to family room. Bonus mudroom is the icing on the cake! Upstairs 3 BR, including master with en suite BA, featuring marble floor, marble vanity with double sinks, and glass-doored shower. 2nd full BA with marble floor and vanity and tiled bath tub. LL RR for playroom or entertainment space. Backyard has patio space, landscaping, perennial gardens, and privacy.